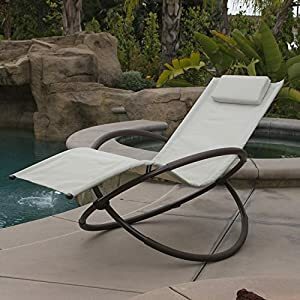 Here you will find quick links to every individual brand page if you are looking for and outdoor zero gravity chair to buy for your patio or garden. 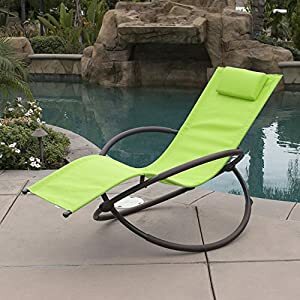 You will quickly be able to see what sort of zero gravity chair is right for you whether you are looking for an outdoor anti gravity recliner to take camping or use by the pool or an orbital zero gravity lounger. Find Sets of 2 zero gravity chairs or 2 person loveseats as well as standard sized and extra large recliner chairs with zero gravity positioning. Below you will find a great selection of zero gravity chairs for the outdoors available to buy at some of the best prices around from some of the leading manufacturers in the industry. We have exceptional zero gravity chairs from high quality brands including Bliss Hammocks, Caravan Canopy and Faulkner and orbital recliners from brands such as RST Outdoor and Urban Furnishing. 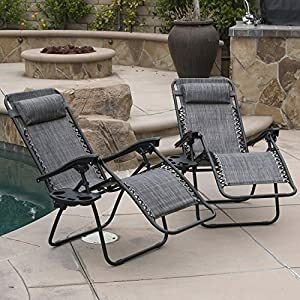 To view all outdoor patio chairs simply scroll below, or if you would like to see chairs from only one brand in particular you can navigate to the tabs underneath and choose your brand. The blue buttons will lead you to each individual category pages where you can view all of the chairs we have listed. Arksen zero gravity chairs now known as Bellezza are a good choice if you are looking for a set of 2 zero gravity chairs at a reasonable price. Available in a range of colors with often positive above average ratings. 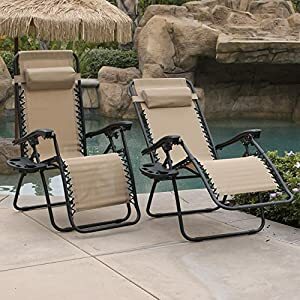 These Arksen zero gravity recliners are not available to buy as single chairs but a pair of these chairs will set you back the same amount of money as some of the more expensive single chairs. Best Choice Products are an up and coming brand that are becoming a household name especially in the garden furniture department. 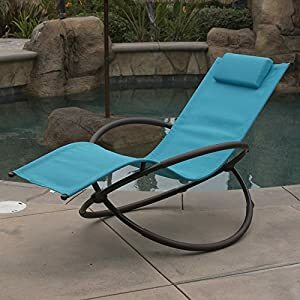 The most notable zero gravity chair from Best Choice Products is their very popular zero gravity loveseat. In our opinion this is one of the best loveseats available. 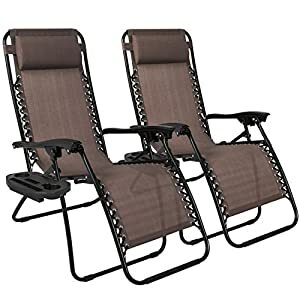 Other products from Best Choice Products include sets of 2 zero gravity recliners and single patio chairs available in Black and Beige colors. Bliss Hammocks are a brand more known for their Hammocks, but in recent years have expanded making a range of other patio furniture. The Bliss Hammocks zero gravity recliner range are bright and outstanding looking products. If you are looking for a standard or extra large zero gravity chair with a sun canopy or a colorful two person 0 gravity loveseat take a look at the Bliss hammocks range for some outstanding patio chairs. Caravan Canopy are the brand behind some of the best selling anti gravity chairs in the country. Both the standard and oversized variation of the Caravan Canopy gravity recliner come in a range of colors. Both the XL and standard recliners are often best sellers on Amazon and have a number of highly positive reviews. A patio recliner chair from Caravan Canopy comes highly recommended by us. Kingso produce a range of unique looking patterned zero gravity chairs at very affordable prices. Available in a range of patterns and for sale as either a single gravity chair or set of 2 recliners. Kingso zero gravity chairs really stand out when compared to many of the other zero g recliners around. 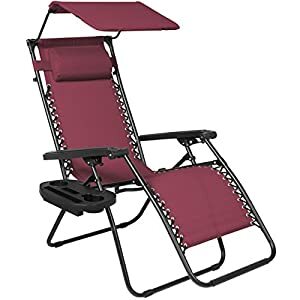 If you are looking for a top quality zero gravity chair from a quality company then a Lafuma zero gravity chair is ideal. 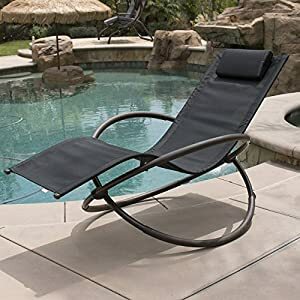 While Lafuma anti gravity recliners are not the cheapest you are guaranteed to be getting a durable and comfortable patio chair from one of the industry leaders. Highly sought after and very popular the Lafuma recliners are also available in an XL variation giving you the option of more space should you need it. 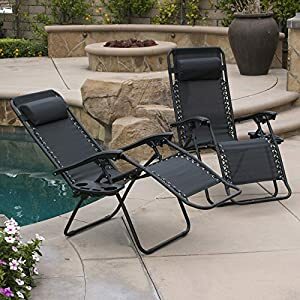 The zero gravity chair range from Outsunny are a great choice for anyone looking to buy inexpensive patio recliners. 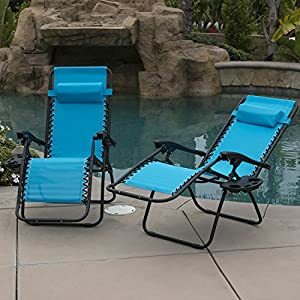 Available in a range of bright and vibrant colors the brand Outsunny have a number of cheap zero gravity chairs available to purchase as single chairs or in a zero gravity chair 2 pack. 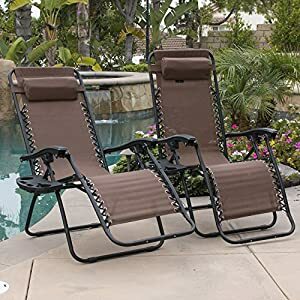 Highly popular and regularly highly rated these chairs are a nice choice of chair especially if you are looking to buy numerous recliners for a garden party or when you are having guests over. Faulkner make a range of unique looking one and two tone zero gravity recliner chairs available in standard and XL sizes. One of the more popular brands of zero gravity chairs, Faulkner recliners have received many positive reviews from consumers. While the Faulkner range is not the cheapest around they are a company well known for making high quality outdoor products that are built to stand up to wear and tear. The Jeco oversized zero gravity recliner chair comes complete with a sun canopy and is available in a number of different color variations. The Jeco range is certain to stand out on your patio and each chair comes complete with an accessories tray with a drink holder. 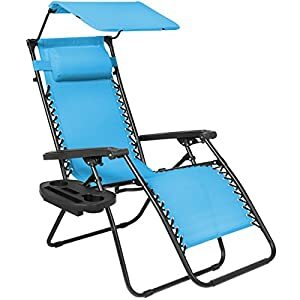 If you are looking for a cheap orbital zero gravity chair then RST Outdoor do some very stylish and affordable options. View a number of color variations on offer. The Orbital loungers from RST Outdoor are very popular and have a number of highly positive reviews from consumers. 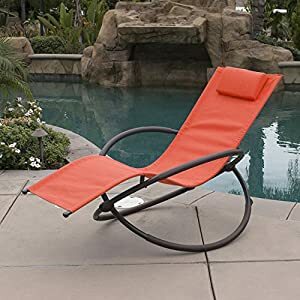 If you are looking for an alternative to the standard zero gravity chairs then an Orbital lounger from Urban Furnishing will definitely stand out in your yard. A highly stylish design in a number of sophisticated colors, these fairly well priced orbital chairs will add style to any environment. The Camco range of zero gravity chairs are a well priced alternative to some of the bigger brands. While the range of colors available isn’t too large if you are looking for a patterned inexpensive zero gravity chair then a Camco chair is likely to suit you. Styled Shopping zero gravity chairs each feature an adjustable sun canopy as well as a drinks and accessory tray. 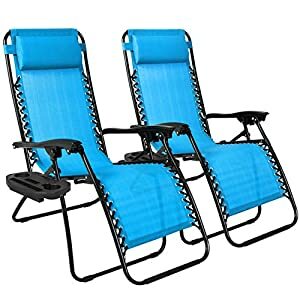 Although they are not the cheapest zero gravity chairs on the market they are extra large and have some very positive reviews from consumers. 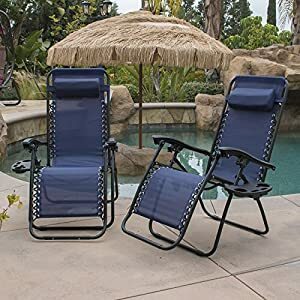 The XtremepowerUS zero gravity chairs are available in a set of 2. With a few different color options. A nice design of chair that is not going to cost you a huge amount.